A Canadian woman accused of involvement in the "largest eco-terrorism case" in US history has surrendered after a decade on the run. 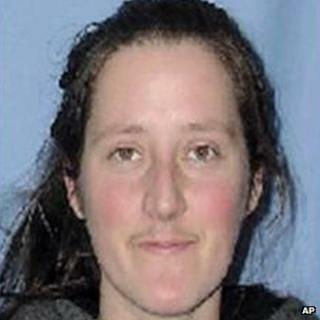 Rebecca Jeanette Rubin, 39, handed herself over to FBI agents on the Canadian-US border. She is alleged to have been one of 13 members of a cell - known as The Family - linked to arson attacks in the western United States from 1996-2001. The group believed their targets were damaging the environment. The damage to the targets, including forest ranger stations and meat processing plants, ran to more than $40m (£25m). Ms Rubin turned herself in to FBI agents at the Canadian border in Blaine, Washington state. "Rubin's arrest marks the end of her decade-long period as an international fugitive in the largest eco-terrorism case in United States history," a statement by the Justice Department said. The reason for Ms Rubin's surrender was not immediately known. She faces arson and conspiracy charges and is expected to be tried in the state of Oregon. Ten members of the cell - the Animal Liberation Front and Earth Liberation Front - pleaded guilty in 2007 to conspiracy and arson charges and were sentenced to between 37 and 156 months in prison. After Ms Rubin's surrender, two other members remain at large. The cell members had reportedly taken oaths to protect each other from the authorities - making it a long and difficult investigation.